Tuscany is a charmed land, equally blessed by the genius of man and nature. Think of the vineyards: rows of baby green vines that manage somehow to march in arrow-straight formation up the gently rolling hillsides, bounded by single files of darker green cypress trees, snaking sandy roads leading to rust-coloured farmhouses and moss-coated castles. Situated in the heart of Italy, the region of Tuscany is known for its rolling hills, rural beauty and its superb wines and delicious cuisine. Tuscany also boasts one of Europe’s most beautiful cities with an unrivalled art pedigree, the stunning city of Florence. Other attractions in Tuscany include Pisa with its famous leaning tower, the town of Lucca and the popular medieval town of San Gimignano with its 14 towers. 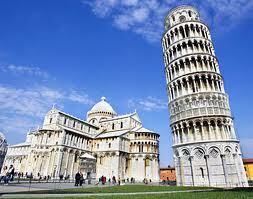 The main airport in Tuscany is located in Pisa. If you prefer to fly on direct flights, British Airways fly scheduled direct flights from the UK and low cost flights are operated by Ryanair and easyJet. The beautiful Tuscan city of Florence was home to the creativity of the Renaissance period and now houses some of the world’s finest art galleries featuring works from some of the great masters including Michelangelo, Leonardo da Vinci and Botticelli. A visit to the vast Uffizi Gallery is a must with some of the best 14th and 15th century masterpieces on display and some brilliant Roman and 16th century sculptures. The Accademia Gallery houses Michelangelo’s famous sculpture of David. Florence also boasts an impressive Duomo which is one of the world’s largest cathedrals, several historic Basilicas and a great choice of boutique shops and restaurants. Head to the medieval city of Siena with its Unesco protected historic centre, gothic cathedral, glorious buildings and impressive museums. As well as the many cultural attractions on offer, Tuscany is perfect for exploring by bike and along the many hiking trails. Give our flight search box a try to find the cheapest flights to Tuscany, Italy whether you're planning a trip in advance or require lastminute flights. 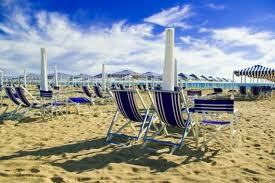 Cheap flights tend to be found mid-week and outside of the busy peak months such as during the summer holidays. The climate in Tuscany is generally very mild with differences depending on the geography of each area.The coast and valleys tend to have hotter summers than the hills or mountains. April and May as well as October and November are good months to visit Tuscany - they have sunny days but the chances of rain are higher. Winter offers many sunny, mild days but nights are cold, particularly in hill areas. The warmest months are generally July and August, while June and September offer both nice warm weather in general without it being too hot. Of course, there are always exceptions or dry spells that cause a few days to get really warm. The coolest months are December and January, with January being a bit cooler. Temperatures tend to be about 45 °F along the coast and from 38 to 42 °F inland. Temperatures in the mountains are below freezing, where snowfall attracts skiiers.